The rejection of nuclear weapons and the disarmament movement gained momentum shortly after the bombings of Hiroshima and Nagasaki, culminating in major civic protests in the 1970s. These campaigns primarily involved the citizens of nuclear-weapon states and their allies, but also developing countries. With a few exceptions, these movements were received with little enthusiasm and sometimes even with hostility by their respective governments during the early years of the Cold War, when they were not directly persecuted (particularly in the Soviet era)Lawrence Wittner, Confronting the Bomb, À Short History of the World Nuclear Disarmament Movement, Stanford University Press, Stanford, 2009.. It was not until the 1970s that states could be considered as true "promoters" or "militants" of disarmament. More and more leaders chose to embody anti-nuclear popular demands and followed the model of leaders such as Nehru. Gradually, some of these states, such as Ireland, Sweden and New Zealand, developed genuine diplomatic strategies to make disarmament norms and practices more reflective of their preferences. Civil society's involvement in the fight against nuclear weapons is generally well understood, particularly in the midst of the Cold War, when the perceived risk of East-West nuclear conflict was high and when some issues provoked spontaneous mass mobilization, such as nuclear testing. The "activism" of states is probably less easy to explain. For some, this positioning may indeed at first sight, run counter to obvious strategic interests. For example, New Zealand's ban on potentially nuclear Allied ship visits in its ports led to its exclusion from ANZUS (Australia-US-New Zealand alliance) in the 1980s, a potentially risky choice at a time of confrontation between the two blocs. For others, it may seem insincere. For instance, India, one of the countries that has been most consistent in challenging nuclear weapons, has finally made the choice to acquire them while preserving a very pro-disarmament discourse. Different types of arguments and motivations have intersected to support several generations of governmental and non-governmental activists and to call for the reduction or even total elimination of nuclear weapons. Arms control measures have been considered essential to limit the risk of conflict, human, and material damage in the event of war. But moral arguments were quickly mobilized to call for the preservation of human lives while avoiding colossal expenditures that could be used for more laudable purposes. From the outset, therefore, a combination of "realistic" security interests and "idealistic" ethical and moral considerations has been the basis for the engagement of a number of actors. For others, it is rather a policy of opportunity that has justified positioning itself for disarmament, to challenge the international order inherited from the Cold War or to integrate international anti-nuclear networks. Although it provides some explanation for some cases, the realistic school of thought has difficulty explaining many forms of disarmament diplomacy that may seem futile, irrational (they can be costly for few tangible benefits), and even dangerous if deterrence is considered to be a security factor. The liberal school can solve some paradoxes by emphasizing the importance for middle powers in particular of strengthening a world order based on law and in which power relations, such as deterrence, are more limited. The assumptions of the constructivist school are particularly useful in understanding the lasting commitment of some actors in this struggle. Indeed, it emphasizes the role of norms and the interest of states in promoting those that are consistent with their identities and values. Whatever the initial motivations of some states, opposition to nuclear weapons has in some cases become an inseparable part of their identity. For these countries, the question is no longer to what extent disarmament exclusively serves as their "objective" in national interests, since conforming to their own norms and promoting them on the international scene is a matter of interest in itself. The assumed anti-nuclear identity modifies an actor's perception of security and therefore its political and strategic calculations. Through conformity, sincere persuasion or identification with a group, the leaders of some countries therefore wish to reflect the anti-nuclear consensus that exists in their society and to establish their national preference as a collective preference. Subsequently, the principle of continuity but also the development of a rhetoric of conviction often drive actors to continue their investment in the elimination of nuclear weaponsLyndon Burford, National Identity and Nuclear Disarmament Advocacy by Canada and New Zealand, A thesis submitted in fulfilment of the requirements for the degree of Doctor of Philosophy in Politics and International Relations. The University of Auckland, New Zealand. September 2016.. 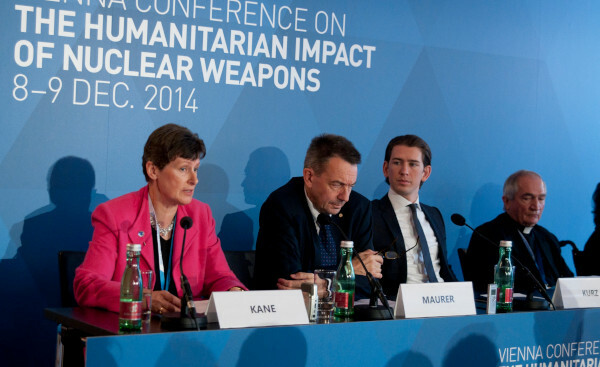 The analysis of the explicit or implicit motivations of disarmament actors has several interrelated interests. At the global and theoretical level, it provides an understanding of the mechanisms that lead actors in the international system to pursue policies that can be perceived as altruistic, idealistic or ideological. More concretely, it demonstrates the variety of arguments that push these stakeholders to take this stand, their entanglement and their mutual reinforcement. Finally, at a more tactical level, it shows how this mobilization can be pursued for sometimes indirect purposes and from an instrumental perspective. The study of disarmament diplomacy illustrates the importance of non-security-related arguments in defining states' interests and their activism for the adoption of new norms. Concepts, sometimes called "meta-standards," such as sovereignty­, justice, or positive self-image, play an essential role in the choice to pursue a particularly active policy. But this does not mean that more traditional motivations such as security, visibility, or the pursuit of domestic political benefits are not important in the implementation of these policies. Moreover, for a given national policy, motivations may change over time and be influenced by the security environment, international standards, civil society activities or a state's ­diplomatic relations. Different actors within the same militant group or state may also have different objectives but share the same anti-nuclear activism. This study seeks to understand the full range of motivations behind disarmament diplomacy today. It is concerned with all states whose policies can be considered active in this regard, that is, states whose behavior and diplomatic, political or financial investments seek to promote norms and practices conducive to the elimination of nuclear weapons. This definition includes all actions to advance the objective of a complete nuclear disarmament, including support for intermediate disarmament measures and challenging the merits of nuclear deterrenceIbid.. It also mentions the role of NGOs’ campaigns as some are closely linked to certain national diplomatic practices. A few disarmament typologies are developed in the existing literature. Thus, some consider that "disarmers" are motivated by six main reasons: humanitarian or ethical cause, lack of strategic utility of nuclear weapons, desire to create a more favorable climate to combat proliferation, fears of deterrence strategies considered too risky, high perception of accidental risk or a concession to obtain nuclear security commitmentsMarianne Hanson, "The Advocacy States," The Non-Proliferation Review, vol. 17, n°1, March 2010.. Others identify three profiles of activists: "common good" actors seeking to improve existing norms and to build bridges between positions, "stakeholders" prioritizing their national security and "radical reformers­" challenging the legitimacy of the regime and unwilling to make compromisesHarald Müller and Carmen Wunderlich, “Not lost in contestation: How norm entrepreneurs frame norm development in the nuclear nonproliferation regime,” Contemporary Security Policy, vol.39, n°3, 2018..
Few activists, whether individuals or states, are involved in disarmament for any single reason. New Zealand's anti-nuclear stance in the late 1980s was thus justified, in order of importance, by the fear of a nuclear accident, the pride of leading the disarmament movement and a desire to act independently by resisting external pressureAndreas Reitzig, “In defiance of nuclear deterrence: anti-nuclear New Zealand after two decades,” Medicine, Conflict and Survival, vol. 22, n°2, April-June 2006.. This study aims to break down the different motivations by proposing typologies of arguments and bringing together certain groups of actors whose aims have similarities. Thus, it first addresses all the humanitarian, ethical and pacifist considerations that led to the rejection of nuclear weapons. For others, the anti-nuclear fight is a niche diplomacy that allows an actor to gain preeminence and to assert its specificities. Thirdly, it shows that disarmament can be pursued to combat a world order considered unjust. Finally, for others, disarmament is approached mainly from a security perspective and with a very long-term vision.